Are you a creative person who desperately wants to tell the world about your talents and your art but lacks the time, money, and know-how? Self-Promotion for the Creative Person is full of clever and creative ideas you can use to successfully get the word out about who you are and what you do quickly, easily, and cheaply. Everything you need to know about marketing yourself is included in this book. 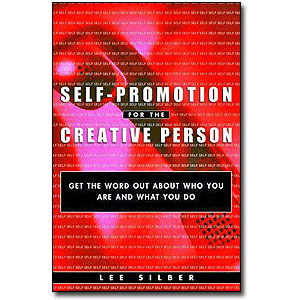 Self-Promotion for the Creative Person is packed with proven techniques that will work for you whether you are an author, actor, artist, or accordion player who wants fresh, off-beat, and cost-effective ways to build a business or develop a successful and fulfilling career. Full of winning strategies, innovative ideas, and proven sales and marketing techniques, Lee Silber will show you how to go from starving artist to superstar status with smart advice, including: (1) How to market without money; (2) How to create marketing materials that will sell you even when you're not around; (3) How to build a buzz using word of mouth; (4) How to use the Internet in ways you never thought of to promote yourself; and (5) How to get the leaders in your field to endorse and help you. Self-promotion is one of the most difficult things a creative person must do. It is also the most critical. Open this book to any page and chances are you will find something that can help you overcome this hurdle and get the attention and recognition you and your talents deserve. Lee Silber, author of Time Management for the Creative Person and Career Management for the Creative Person, is an accomplished graphic artist, drummer, workshop leader, and radio talk-show host and is the founder of five companies, including CreativeLee Speaking. When not out promoting something, Lee lives with his wife in San Diego, California.